Gang Crime Squad officers have charged four people after they allegedly extorted money and equipment from a business owner in Rockingham. 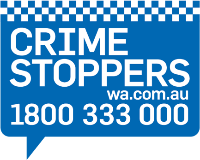 Regional Investigations Unit officers have charged a 40 year old Jandakot man over the alleged damage to a number of ATMs throughout the metropolitan area. South Hedland Police are investigating an animal cruelty incident that occurred overnight. Armadale Detectives have charged a 36-year-old man in relation to an incident that occurred in Gosnells on Monday 22 April 2019. Armadale Police have charged a 42-year-old woman as a result of their investigation into numerous damage incidents that occurred over a ten day period during April 2019. View all recent media releases published by the Western Australia Police Force.